FlightRight is one of the companies that are a returning exhibitor for our events. Once more, we’re seeing them in Berlin and we’re super happy about the meeting! If you haven’t got any idea who they are or what they do, you can quickly catch up with them in this company introduction. Today, however, we’ve got more for you. This time, the FlightRight team will tell you more about what’s it like to work for them. But before we dive in - remember that you can meet them at Berlin Tech Job Fair this spring. Make sure to book your free job seeker ticket! And now let’s hear them out. Your new workplace would be in Charlottenburg, just 2 minutes away from S Charlottenburg, in a Penthouse Apartment. In there, we live a no door mentality, only a lot of space for your creativity. Besides that everybody in the office is addressed with their first name, it is also possible that Sebastian (our CEO) chooses his workspace next to you for a day, because he hasn’t a fixed place. Next to a games and chill area we have table tennis, table football, miniature golf and even a prayer room. Drinks and Snacks are also provided to make your day in the office as pleasantly as possible. Our rituals include a biweekly all-hands-meeting where our CEO informs us about everything what is going on regarding Flightright, with space for personal input of the departments. Besides that, we have daily stand up meetings in the teams itself in order to be always up to date. For our Newbies we offer a Get-2Know lunch and when a member of our team leaves, we do a Farewell, to show our thankfulness with a small speech. What can a new employee count on in your company? What`s their onboarding like? We provide a detailed Onboarding, first with HR and after specifically in the departments to guarantee that you are able to work with our tools and of course there is a lot space for your own input and Get2know eachother better. We definitely live a flat hierarchy with fast decision making paths. This makes working particularly easier and gives every employee a lot more responsibility. Teamwork is our number one tool for our success and to encourage it even more everybody works in an internal department-specific team, but is also member of mixed teams for different projects. The size is roughly between 2 and 7 members. And how does that sound to you? 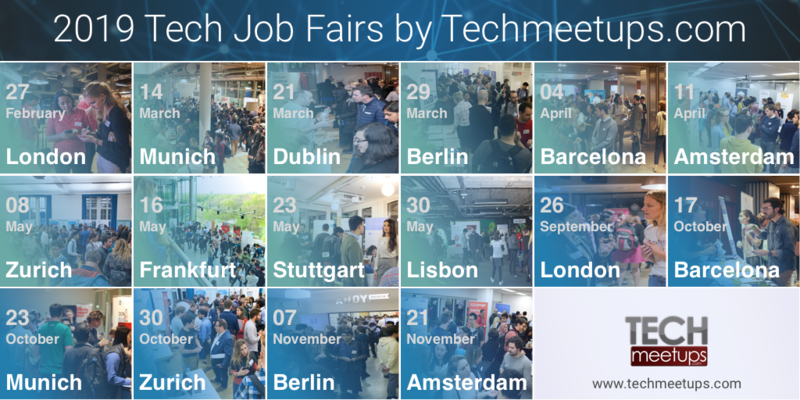 If it’s anything like your ideal job, then you’re in luck - the tickets for Berlin Tech Job Fair are still available and you can book one right now.